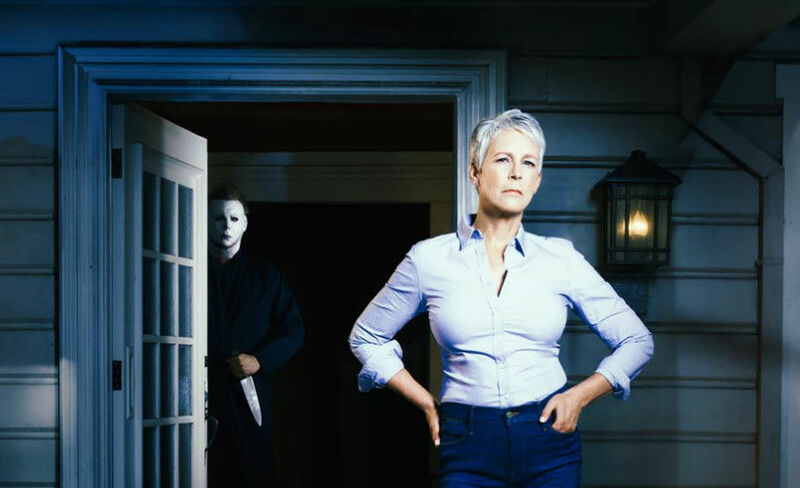 Halloween, Jamie Lee Curtis, and Michael Myers are #1 at the box office for the second week in a row. The sorta-a-sequel to the original 1978 movie brought in $32 million domestically at its second weekend at the box office and beat out A Star Is Born, Venom, Goosebumps 2: Haunted Halloween and Hunter Killer. The movie dipped by about 58% from its first week, giving it a current U.S. gross of $126,698,400, with a foreign gross of $45,600,000, for a worldwide current gross of $172,298,400. The film only cost around $10 million to make. Halloween is also a 79% Fresh over at Rotten Tomatoes, with 220 positive reviews to 58 negative reviews; 76% of the audience stated they liked it. The success of Halloween also looks to be relaunching the slasher genre, as after following its huge opening weekend, a new Friday the 13th movie has been announced with LeBron James' production company on board. Robert Englund also recently said he has one more Nightmare On Elm Street movie in him. Halloween is directed by David Gordon Green.